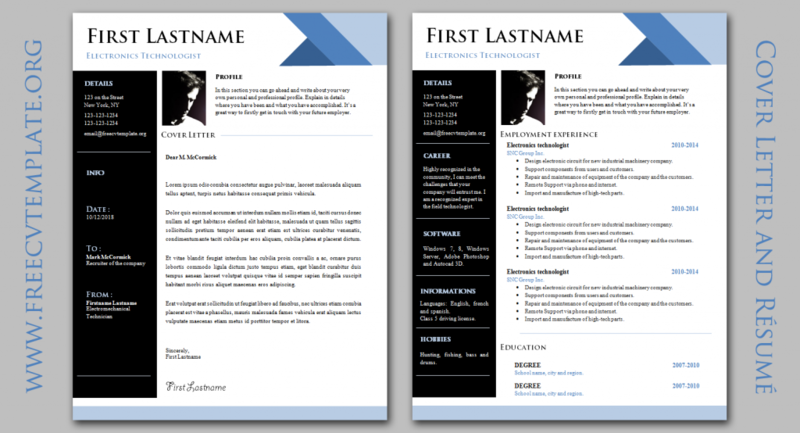 Here is a two-column CV template that will allow you to present to the recruiter all the significant aspects of your profile (work experience, education, software, skills, language level, hobbies and career goals). 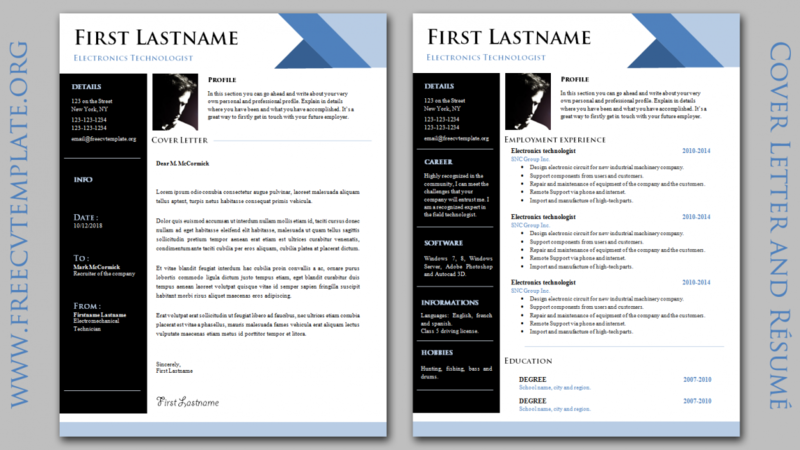 The professional experience is displayed on a white background that has highlighted it visually. 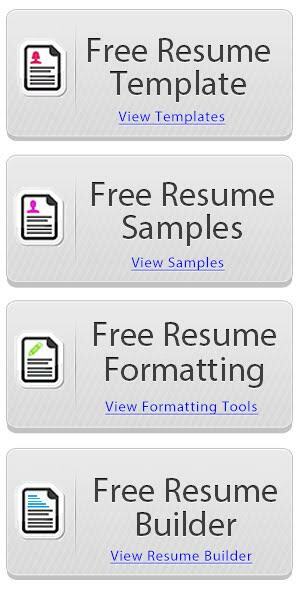 Block headings give the appearance of a serious and rigorous personality, which the recruiter and hiring manager will certainly appreciate. 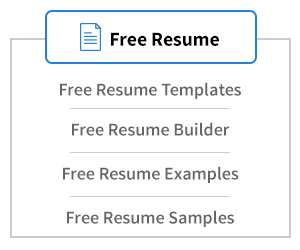 What it should look like when done. 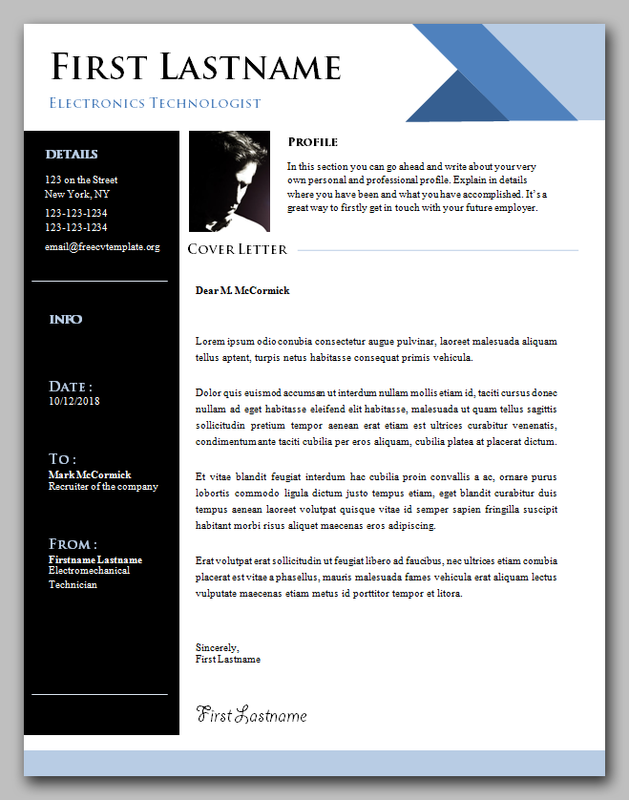 To get the cover letter file in ms word format, simply click on the download button after the next picture. 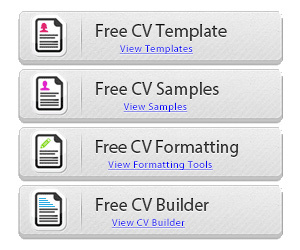 To get the cv template, you must visit our original post page which is here: Free cv resume template #890 – 896. 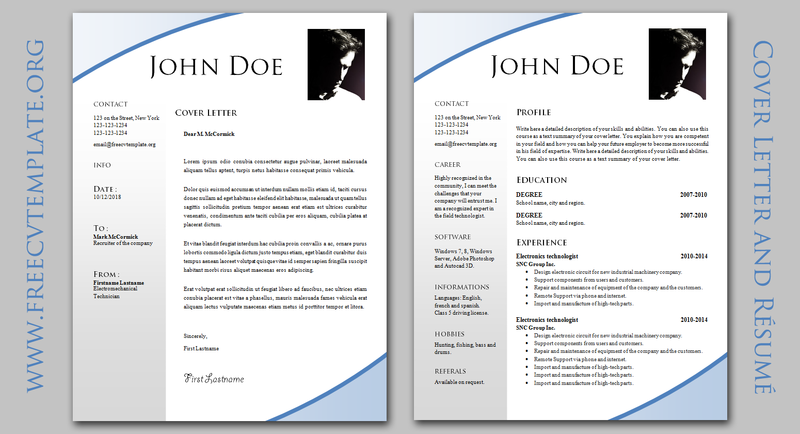 Great Template, I’ll use this one to renovate my curriculum vitae!